Shop our online store for your towing supply needs or call our office at 800-876-8963. We have been providing the towing industry with quality supplies since 1999. 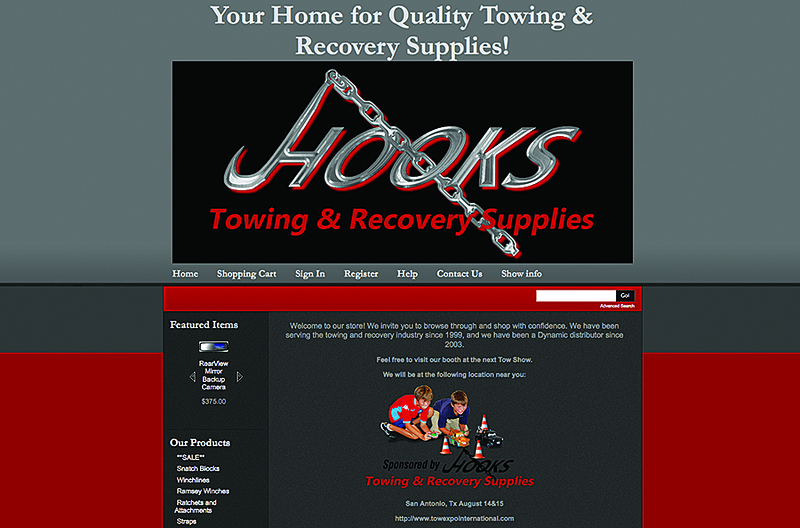 Hooks is a full line towing and recovery supply dealer located in east Arkansas and a Dynamic distributor since 2003.